Ghosts and cowboys! 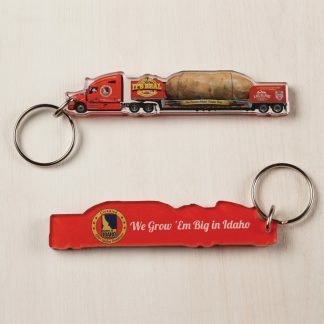 Two words most people don’t expect to see side by side, unless, you are part of the Tater Team! Strange things like that are just normal occurrences for the spud crew. Hotel Phillips– the haunted mansion of Kansas City, is what the tater team called home for two nights. Their hairs stood on end when the trio entered the hotel Sunday evening. Upon check-in, they were given the option to be issued protective blankets and teddy bears, but with their pride at stake, they turned down the generous offer. 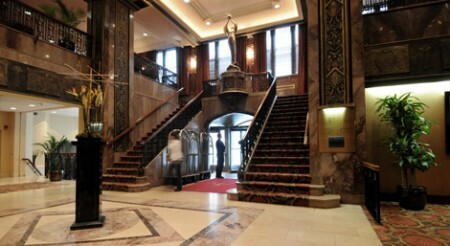 Though there is reason to believe that Ellis returned to the front desk later that evening to retrieve a teddy bear. Luckily, they all made it through the first night unharmed. 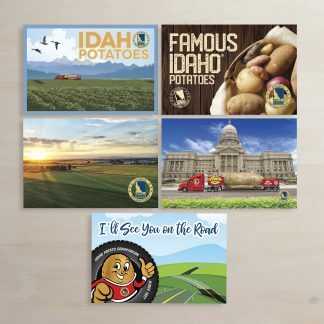 Monday morning, Idaho potatoes were the talk of the town! The team reluctantly peeled their eyes open at 6:00 AM to do live news segments with FOX News at Union Station. They were accompanied by Chef Justin Voldan from Hotel Phillips and Jacqui Moore with Mid America Council (Meals on Wheels). 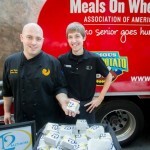 The news segments featured the team who spoke of their noble quest, Jacqui who spoke of Meals on Wheels, and Chef Justin who showed the city how to make a mean Idaho potato slider. 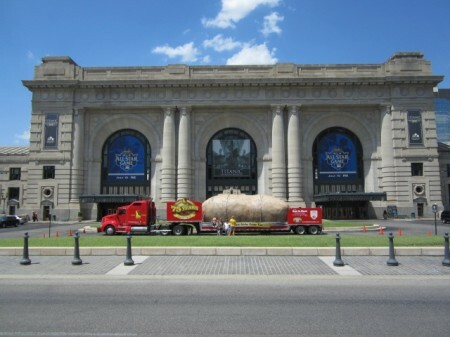 By 10:00 AM, Union Station was crowded with admirers wanting to get their shots with the big spud. Not many things make the potato look small! Well done Union Station! Hallelujah!! The tater family survived their last night in the ghostly hotel and awoke in one piece! The group packed their bags without any haunting stories to take with them, though not everyone was pleased about that. Tuesday afternoon, Hotel Phillips and the team decided everyone should get to try a little bit of Idaho! They started passing out potato sliders right there on the sidewalk of the hotel! All the passing pedestrians got to sink their teeth into a crispy potato cake with diced black forest ham, boulevard beer mustard, spring mixed greens, and a slice of tomato sandwiched between two buns. The delectable sandwich bites were worth raving about! Wednesday was a long drive day for the team as they left Kansas City and trudged on to Oklahoma City! The team stopped mid-drive for an event at Reasors in Tulsa. They got a chance to interact with the local folk and even scored free slushs from Sonic thanks to Kaiti’s persuasive eye lash batting. 😉 When two hours had ticked by, the dream team hopped back in the truck and continued on to the state’s capitol. Friday arrived in a hurry and the tater trio was ready to cross the lines into the state of supersize!! 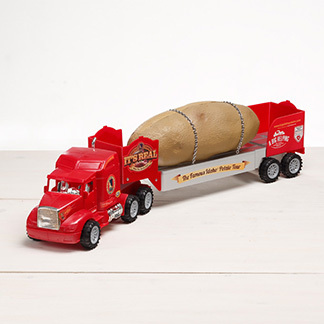 What better home for the spud than the land of oversized…everything!? Hello Texas!! 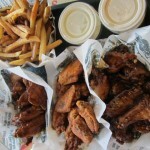 The busiest Wing Stop in the country was their first stop in the big state! Before the event started the team got to indulge in the restaurant’s mouthwatering wings. They licked their fingers clean from the delicious sauces like Hawaiian, teriyaki, garlic parmesan, and their new favorite; Louisiana rub. 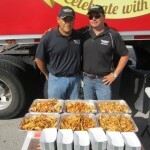 To top off the meaty wings they ate some of the best seasoned Idaho potato fries to date! The generosity of the beloved Wing Stop was highly cherished when they decided to share their succulent fries with the public and give out FREE fries for the event. 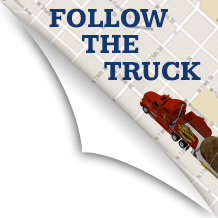 Crowds swarmed the truck to get their fill of the crispy fries. It’s safe to say that no one walked away hungry! Alright fry lovers...come get em!!! Wings and fries!!!! Nom Nom Nom!!! 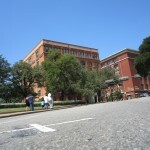 The 'X' on the road is where President Kennedy was assassinated. The shooter was in the right corner window of the building, second floor down. Kaiti’s sister, Robin, came back for round two! She visitedthe team once in Chicago and now reunited with them once more in Dallas! The wild group spent the rest of the weekend seeing everything there was to see in the big city! As for the last few days in Dallas…let’s just say, keep your TVs on. 😉 Another week has past and another week of stories along with it.